In this increasingly visual world, inspiring and empowering students with skills to produce quality, original imagery is crucial. 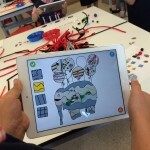 The ‘connected camera’ is a huge win for educators in this regard, as students can begin to increase their photographic skills, creative confidence and visual literacy through appropriate activities from a young age. 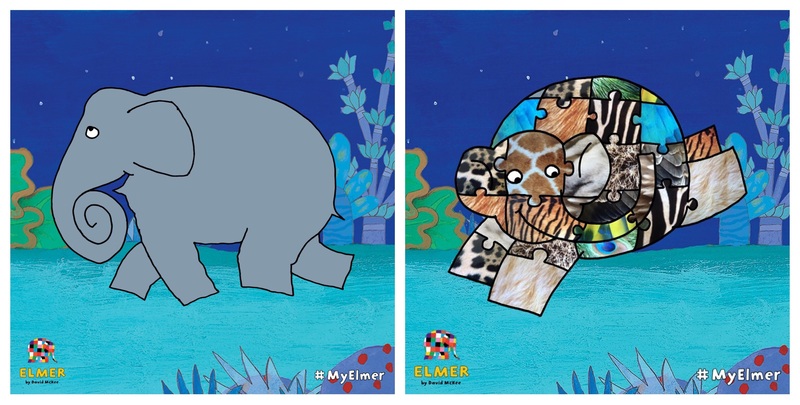 Using Elmer’s Photo Patchwork, young art-makers can produce their own ‘Elmer the Elephant’, constructed with a montage of images collected via their iPad cameras. David McKee’s popular picture books come to life through touch, and there are many strong links to learning tasks beyond the iPad screen. 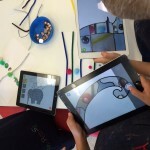 It all begins with students selecting an elephant, then deciding on a blank pattern or design to fill. 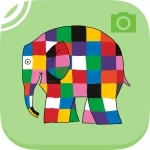 With a tap, each of the pattern ‘sections’ becomes a live camera and students can point and shoot to produce their work, filling their Elmer with colour, texture, patterns, materials, etc. Linking this process to broader activities as part of an extended creative workflow can lead to some exciting art-making experiences. 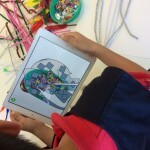 In the Gallery below you’ll see students at work with pipecleaners, sequins and other resources. These young learners produced patterns to demonstrate their understanding of repetition, then walked around the room to construct their Elmers photographically using the inspiring work they had produced. 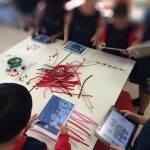 The activity was full of excitement, movement and energy as the children produced, shared and discussed their assemblages as they became digital works. We’d love to see how you use this app in a creative workflow, so share your ideas! 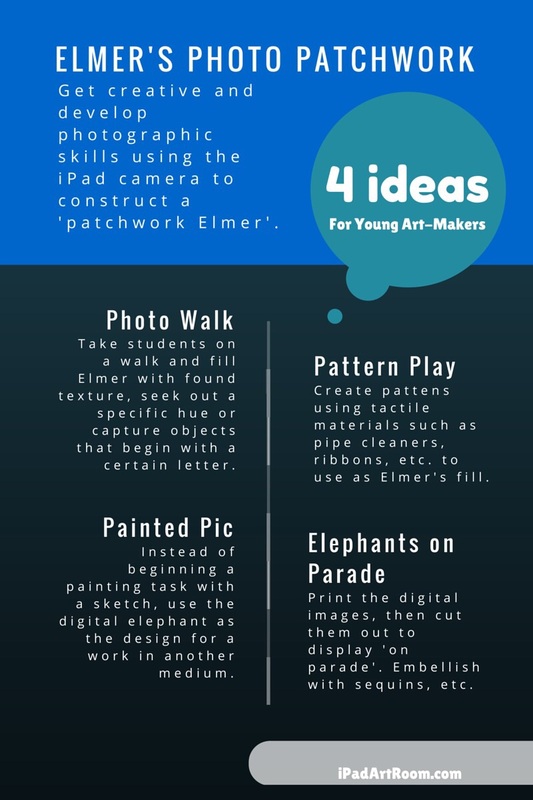 And if you liked this post, you might also want to check out a workflow for very young art makers. I love how much good learning is going on in this lesson! 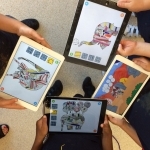 It integrates photography, visual literacy, typical literacy, and helps students think in a more deconstructed way. The idea of many smaller things being combined to create a collective whole can be difficult for young minds. 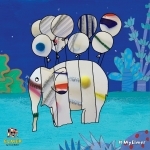 It helps them think abstractly and allows them to use creative thinking skills to find textures, colors and objects to fill their Elmer with. Awesome lesson!